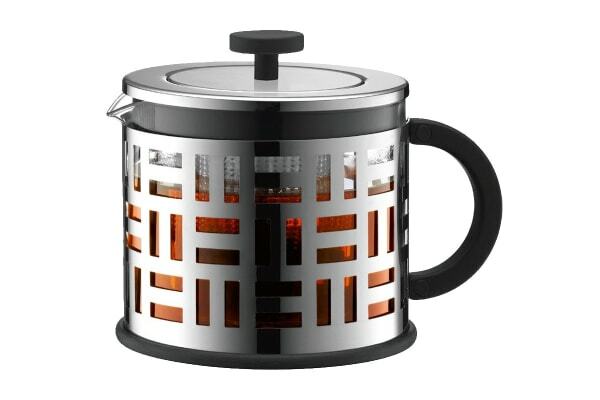 The Bodum Eileen Tea Press features a solid steel frame that protects the glass from knocks and bumps and a square handle that makes it easy to carry more than one at a time. 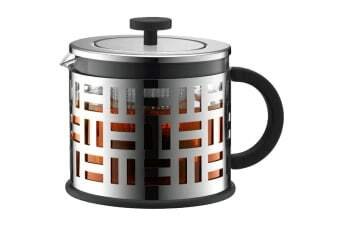 The Bodum Eileen Tea Press comes with a spacious filter that lets the tea leaves swirl freely and develop their full aroma. Once the desired strength is reached, you press down the plunger and the tea leaves get locked into the bottom of the filter, stopping the brewing process.